Korean films took the top two slots at the box office in the first half of June, fending off competition from Hollywood releases <Men in Black III>, <Madagascar 3> and <Prometheus>. Leading the pack was <The Concubine>, a costume drama set during the Joseon Dynasty. The sexually explicit film is directed by KIM Dae-seung, best known for his debut film <Bungee Jumping of Their Own> (2001) and the period mystery <Blood Rain> (2005). CHO Yeo-jeong stars as a woman who is torn away from her home village -- and her relationship with a young commoner (KIM Min-jun) -- to serve in the palace as a concubine. There, the inexperienced and lonely young king (KIM Dong-wook) develops an obsession for her that places her in danger. Released on June 6, the film sold 1.4 million tickets in its first 10 days, and by the end of the month it had easily passed the 2 million admissions mark. This marks the second hit in a row for actress CHO Yeo-jeong, who starred in another sexually explicit costume drama <The Servant> in 2010 that sold over 3 million tickets. Meanwhile the romantic comedy <All About My Wife>, released on May 17, continued its impressive commercial run. The film added another 1.3 million tickets in the first half of June on the back of continued strong word-of-mouth. Latest figures place the film's box office total at over 4 million admissions. Directed by MIN Kyu-dong (<Antique>, <Memento Mori>), the film stars LEE Seon-gyun as a man who offers to pay off a Casanova-like seducer (RYU Seung-ryong) to start an affair with his wife (LIM Soo-jung) and give him grounds for a divorce. High commercial hopes had also been placed on the May 30 release <Runway Cop>, which features the same director and star as the massive hit comedy <My Girlfriend Is an Agent> from 2008. 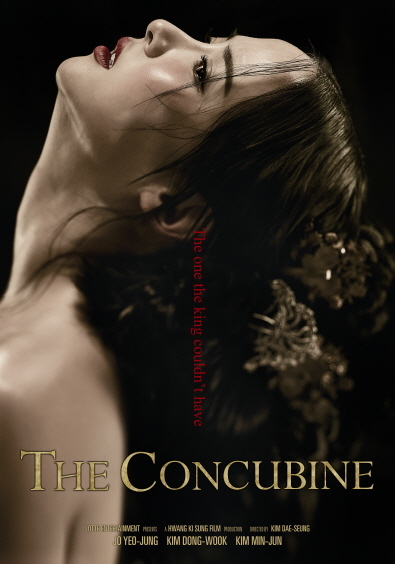 Centered around an overweight, grubby detective (KANG Ji-hwan) who undergoes a makeover to go undercover posing as a fashion model, the film actually scored higher viewer ratings than <The Concubine>, but sold a disappointing 865,000 tickets in two weeks to take the #4 slot. <Don't Click>, the first Korean horror film of the summer season (when local horror films are traditionally released), had originally been scheduled for a 2011 opening, but was subsequently delayed. Premiering on May 30, the film sold 730,000 tickets to rank at #5 just behind the higher-profile <Runway Cop>. The film centers around two sisters whose lives are thrown into turmoil after watching a mysterious, "cursed" video clip. This ranks as the best-selling film to date by horror specialist KIM Tae-kyoung, who previously made the Vietnam-set <Muoi: The Legend of a Portrait> (2007) and <The Ghost> (2004). As for Hollywood films, <Men in Black III> continued its solid run with another 1.2 million tickets sold, bringing its overall score over the 3 million admissions mark. <Madagascar 3: Europe's Most Wanted> came in at #6 but performed particularly well with family audiences on Sundays. Ridley Scott's <Prometheus>, meanwhile, failed to generate much positive word-of-mouth and ranked at #7 with just over 700,000 admissions. Among specialty releases, the film drawing the most attention was <In Another Country>, the latest work by acclaimed Korean auteur HONG Sang-soo. Having screened in the main competition at last month's Cannes Film Festival, the low-budget film opened locally on May 31 and sold upwards of 18,000 tickets in the first half of June. In recent years HONG has brought the budget of his films down to a micro level, enabling him to turn a profit on such works as 2010's <HaHaHa> (57,000 admissions) and last year's <The Day He Arrives> (45,000 admissions). Given that this latest work stars the world renowned French actress Isabelle HUPPERT, observers are curious to see if the film replicates the box office success of those previous films in the coming weeks.